Here’s Why You Should Consider Using a Pick and Pack Warehouse | Affiliated Warehouse Companies Inc.
Posted February 4, 2019 & filed under Warehouse Types. Is your company committed to shipping products out to customers as quickly as possible? If so, you should consider using pick and pack warehouses to do it. The pick and pack process involves “picking” a bunch of different items housed inside of a warehouse and “packing” them together in one box so that they can be shipped off and arrive at their final destination in no time. Check out several of the key benefits of using a pick and pack warehouse below. 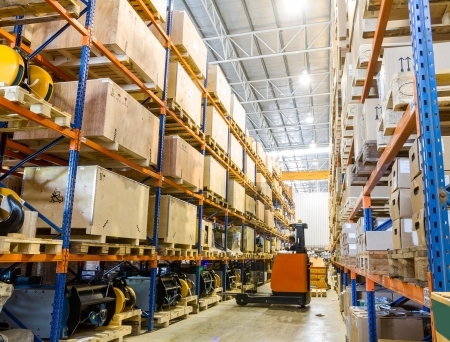 Inventory management is a huge deal for those who run pick and pack warehouses. It’s why there are usually intricate inventory management systems that are in place to keep an eye on everything that’s coming into and going out of a pick and pack warehouse. These systems will help business owners sleep better at night because they’ll know their inventory is being managed properly while sitting in a warehouse. In years past, there were a lot of companies that would have to send out multiple shipments to fulfill a single order from a customer. They had different things in different warehouses, and it made it difficult to ship orders out efficiently. This won’t be a problem when you rely on a pick and pack warehouse. You can send one shipment containing a customer’s entire order instead of a bunch of different shipments. At the end of the day, your goal as a business owner is to keep your customers happy. And that’s exactly what you’ll be able to do when you use a pick and pack warehouse. Customers will love how fast you’re able to ship their orders to them, and they’ll appreciate the fact that you won’t have to charge them an arm and a leg in shipping and handling costs to do it. Take advantage of the many benefits of a pick and pack warehouse by finding one through Affiliated Warehouse Companies. Call us at 732-739-2323 today to hear more about how pick and pack warehouses could help your business.